It's probably still too early to say our years of patience waiting for Cyberpunk 2077 will soon pay off. But it's the perfect time to start quietly hoping for that, as GamePressure cites two separate, anonymous sources who claim the sci-fi RPG from The Witcher studio CD Projekt Red will finally re-emerge with both a trailer and actual gameplay at E3 2018. This comes just a week after the official Cyberpunk 2077 Twitter account sent out its first message in four years (which was, admittedly, just a "beep"). 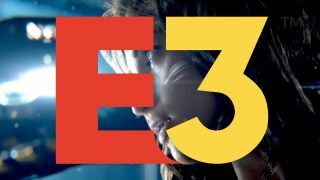 According to GamePressure's article (translated from original reporting by its Polish sister site, GRYOnline.pl), a new Cyberpunk 2077 trailer will make a big appearance at one of the pre-E3 press conferences. The Witcher 3 was pivotal at Microsoft's E3 2014 press conference so the Xbox stage is a likely place for another debut from the studio. That was almost four years ago though; a quick jaunt over to PlayStation-land isn't out of the question. And hey, you can never rule out a Switch version these days. Just imagine the typically cheerful Nintendo Direct feed glitching out as a heavy synth soundtrack takes over, cutting over to a smirking Reggie Fils-Aime in a black trenchcoat and mirrored sunglasses. Setting the tantalizing prospect of NetReggie aside for a moment, the report also states that CD Projekt Red may be ready to present a playable version of the game behind the scenes at E3. It's typical for developers to share a pre-recorded version of that kind of demo on YouTube as well, so you probably won't have to wait long to see it even if you aren't at the event. This report is sweet succor to Cyberpunk fans who have persisted on little more than a cinematic trailer for the last five years. There's always a possibility that GRYonline's sources were mistaken, but it does line up awfully nice with that "beep." Can't you see the hype cycle now? In a month or two we'll get some more art, then maybe an ARG leading to a 3-second teaser video, then another, then… E3. After looking forward to this game for half a decade, I'm ready to know what it actually is.